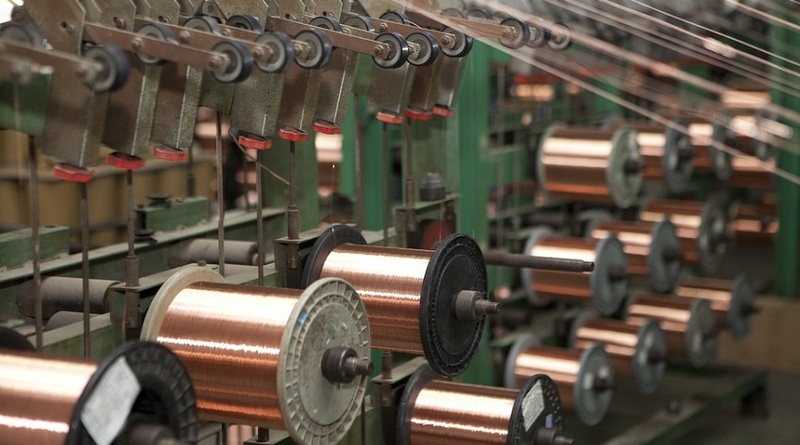 HAMBURG, May 15 (Reuters) – Aurubis AG, Europe's biggest copper smelter, said on Tuesday it expects positive conditions to continue in copper markets in the coming months and confirmed its forecast of higher earnings. "We still anticipate a satisfactory supply of copper concentrates (ore) and corresponding treatment and refining charges," it said. "We expect, in general, a stable copper scrap market." With good output levels at mines, it expects a good supply of copper concentrates, it said. It also anticipates strong demand for copper products. "In the next few months, we expect good sales of rod and high, stable demand for shapes, although the strong euro could have a negative impact on exports," it said. "We expect demand for flat rolled products to continue at a strong level, especially for higher-end products like high-performance alloys and tin-coated strip." Aurubis had on April 26 made an advance release of its quarterly earnings and raised its earnings forecast for the current financial year. Aurubis on Tuesday confirmed a 7 percent increase in operating earnings before taxes to 107 million euros ($127.51 million) in the second quarter to end-March. Aurubis confirmed it expects a moderately higher operating EBT for its current fiscal year 2017/18 of between 5.1 percent and 15 percent. Concentrate processing in the second quarter to end-March rose to 641,000 tonnes from 626,000 tonnes in the same year ago period. Production of copper cathodes (new metal) in the second quarter rose to 291,000 tonnes from 288,000 tonnes.